You'll be £5.20 closer to your next £10.00 credit when you purchase The Workhouse. What's this? During the nineteenth century the workhouse cast a shadow over the lives of the poor. The destitute and the desperate sought refuge within its forbidding walls. And it was an ever-present threat if poor families failed to look after themselves properly. As a result a grim mythology has grown up about the horrors of the 'house' and the mistreatment meted out to the innocent pauper. In this fully-updated and revised edition of his bestselling book, Simon Fowler takes a fresh look at the workhouse and the people who sought help from it. He looks at how the system of the Poor Law – of which the workhouse was a key part – was organised and the men and women who ran the workhouses or were employed to care for the inmates. But above all this is the moving story of the tens of thousands of children, men, women and the elderly who were forced to endure grim conditions to survive in an unfeeling world. 'A good introduction,' The Guardian. The history of workhouses and poverty ('misery history') has recently been prominently covered on TV shows like WDYTYA? and ITV's Secrets from the Workhouse, and referenced in historical dramas like The Village and Ripper Street. When you think of a 19th century workhouse, it's inevitable that Charles Dickens' Oliver Twist will spring to mind...Certainly, they weren't holiday camps and inmates were expected to do something towards their keep, but as Richmond author Simon Fowler argues convincingly, workhouses don't deserve the bad press they've been stuck with. For many paupers and desperately-in-need people, they were a safety net, without which many would have certainly starved. When viewed in the context of a welfare state where dwindling resources have to be matched to growing needs, the workhouse should be seen as a social policy tool that was probably ahead of its time. Simon Fowler has written an excellent account of life in the workhouse. ... Well worth reading. 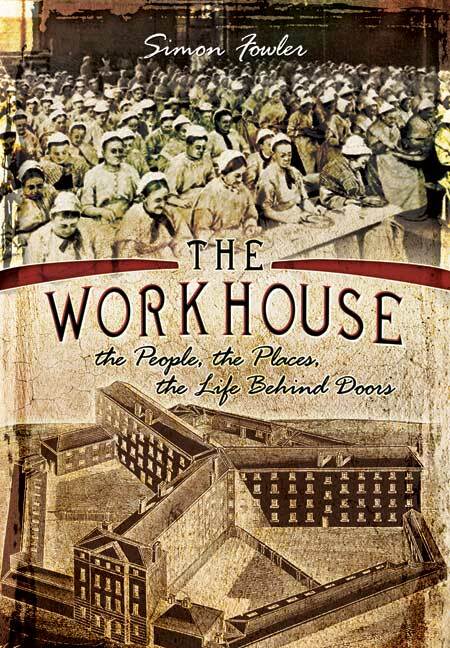 If you want to find out about daily life for your ancestors in the workhouse, this authoritative book provides some excellent background information. There is also a useful section on Poor Law and workhouse records, plus an extensive bibliography if you want to delve deeper into the subject.